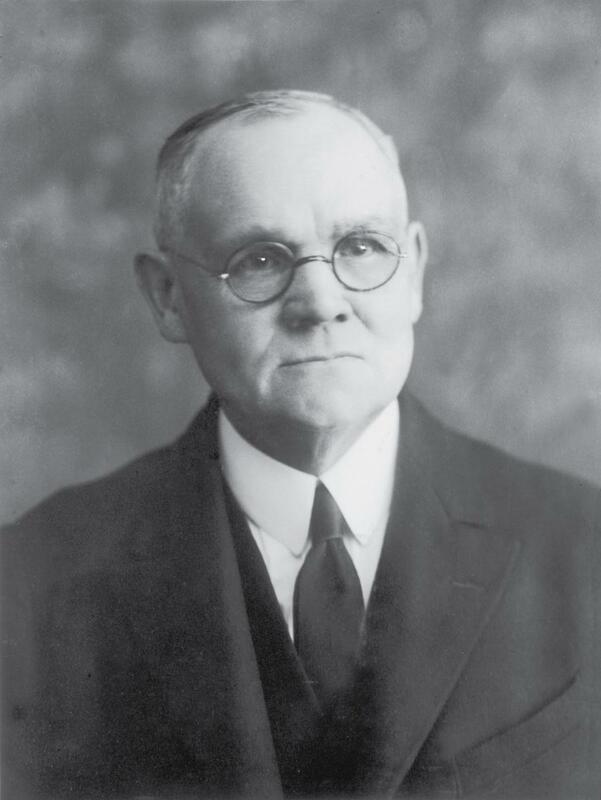 Elder James E. Talmage (1862-1933) was born in England. He was a brilliant scholar, trained as a geologist and mathematician. But he's perhaps best known today among Church members for his classic writings, including Jesus the Christ, The Articles of Faith, and The Holy Temple. He was called as an apostle in 1911 and served until his death in 1933 at age 70. "Faith thus becomes to us the foundation of hope, from which spring our aspirations, ambitions, and confidences for the future. Remove man's faith in the possibility of any desired success, and you rob him of the incentive to strive. He would not stretch forth his hand to seize did he not believe in the possibility of securing that for which he reaches. This principle becomes therefore the impelling force by which men struggle for excellence, ofttimes enduring vicissitudes and suffering that they may achieve their purposes. Faith is the secret of ambition, the soul of heroism, the motive power of effort." 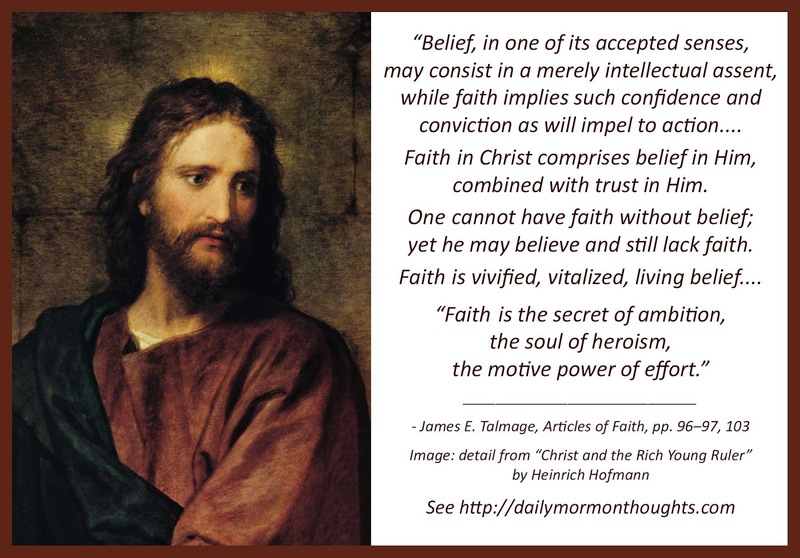 Elder Talmage's analysis of the difference between belief and faith is not just a semantic exploration. It's a very instructive consideration of what faith really is, and how it can bless our lives. While belief often describes a mostly intellectual acceptance of something, faith goes beyond to the point where the attitude of faith results in action. 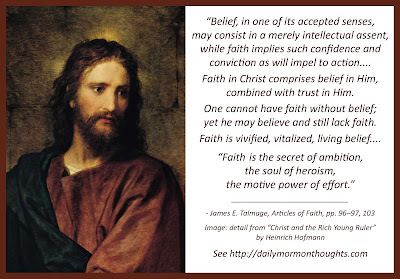 And even more specifically, faith in Christ comes when belief is accompanied by trust. "Faith is vivified, vitalized, living belief." "Faith thus becomes to us the foundation of hope, from which spring our aspirations, ambitions, and confidences for the future." "Faith is the secret of ambition, the soul of heroism, the motive power of effort." Labels: belief, faith, hope, Talmage James E.